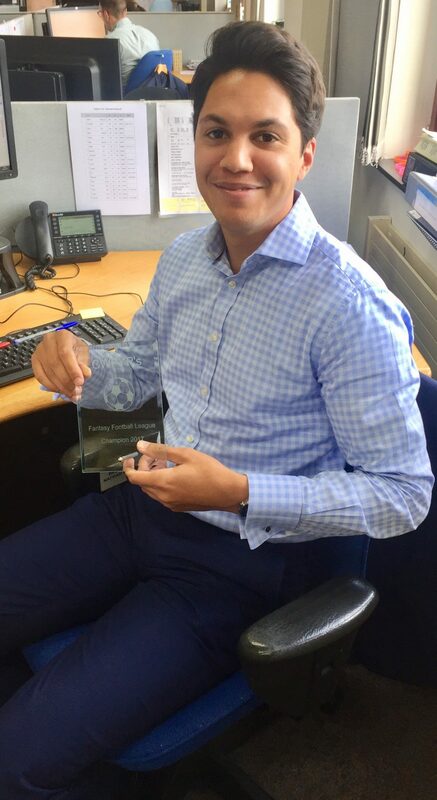 We’re delighted to announce that this season’s online Fantasy Football League was won by Nathan Lapsley of Wright Hassall. That means the trophy has been won by a Wright Hassall employee for the second year in a row after Steve Halkett took it last year. Steve was relegated to second place this season with Craig Spafford in third. Chelley Yates and Patrick Murtagh brought up the rear with a total of 28 teams taking part this season. Better luck next time Chelley and Patrick! Many thanks to former Young Professionals committee member Phil Ballard for setting up the league.